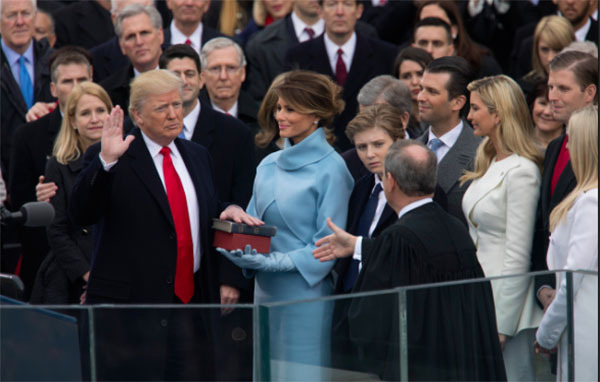 The inauguration of President Donald Trump and the subsequent Women’s March on Washington inspired several soap stars to take to social media to express their thoughts on the two. During the campaign season Antonio Sabato, Jr. (ex-Jagger Cates, “General Hospital”) spoke earlier this year at the Republican National convention in support of Donald Trump. Afterward he said he felt ostracized in left-leaning Hollywood because of this. However, he has remained steadfast. He not only went to the inauguration Friday, but Tweeted about it often. Scroll down to see his and other soap star social media posts from this weekend. Kimberlin Brown (ex-Sheila Carter, “Bold and the Beautiful”) also spoke in support of Trump during the Republican National Convention. She posted pictures about her attendance at the inauguration festivities this weekend. On Saturday, hundreds of thousands of protesters gathered in Washington, D.C., just blocks from the White House inspired by their opposition to Trump. Gatherers convened under the banner, “Women’s March on Washington.” Sister marches took place around the country and world. 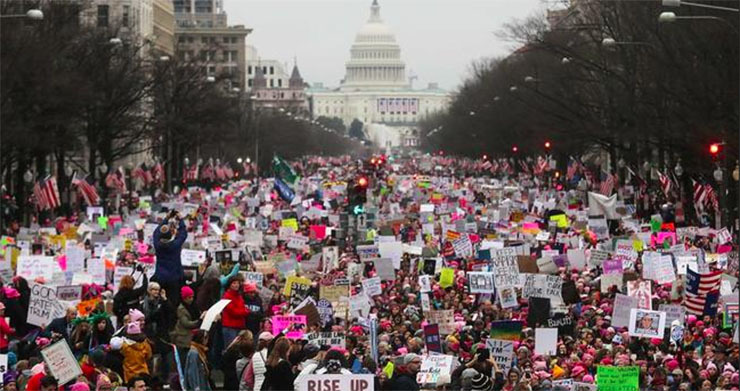 Among attendees in D.C. and other U.S. cities were soap stars who penned online posts about attendance at the marches or in support of them. Other daytime notables couldn’t be there, but voiced their support of marchers. 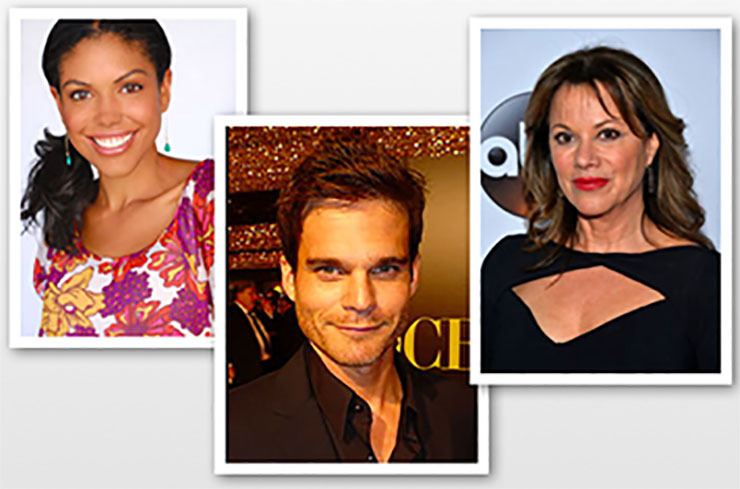 Nancy Lee Grahn (Alexis Davis, “General Hospital), Karla Mosley (Maya Avant, “Bold and the Beautiful”), and Greg Rikaart (Kevin Fisher) counted themselves among the marches’ supporters. All three voiced opposition to Trump during the campaign season or since he was elected.